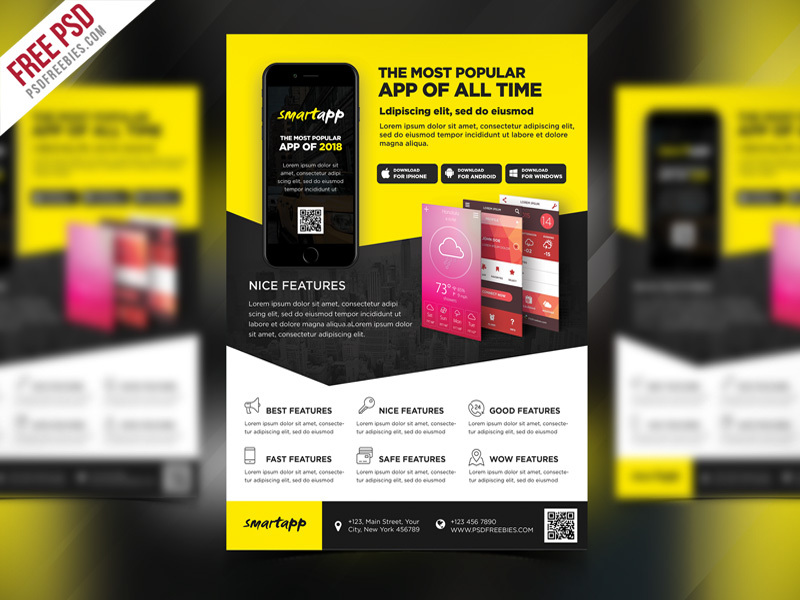 Download Free Mobile App Promotion Flyer Template PSD. Free App Promotion Flyer template designed exclusively for Mobile apps product, business, promotion or any of use. All main elements are editable and customizable. This app flyer template is well organized and structured. Images, texts and colors are fully editable. This Flyer PSD Template download contains a A4 size, 300 dpi, print-ready, CMYK PSD file. Hope you like it. Enjoy!